Six months after Miguel Blasquez returned home from a hunt in Zambia, he received a call from the San Francisco-based brokerage firm he hired to help bring his trophies back to Mexico. Turns out there was a problem. All 10 of his animals — a Cape buffalo, leopard, and eight plains game species — had been seized by the U.S. Fish and Wildlife Service (USFWS) at the port of entry in San Francisco. The animals were killed legally and his brokerage firm filled out all the necessary paperwork, but the airline submitted photocopies of the documents to the USFWS instead of originals. "They didn't even give me a chance to fix it," says Blasquez. "It would have been a very simple thing to do." Most trophies make it to their rightful owners without any problems, but an increasing number end up like Blasquez's and are seized by the USFWS for a minor technicality. Conservation Force Chairman John Jackson III said the rate of seizures has gone up significantly over the past several years. "The Service changed the wording that used to allow brokerage firms and foreign governments a 30-day grace period to correct any clerical errors. Now they just seize things at will," said Jackson, a New Orleans lawyer who has represented dozens of hunters subjected to trophy seizures. "There is about one seizure every day and a half, which is pretty telling because the number of hunters traveling overseas is down due to the economy." Virtually all of the seized animal parts, including hides, skulls, horns, and even manufactured items like jewelry, are taken based on some technicality, even though they were taken legally. Jackson, who assisted Blasquez, has been involved in cases where someone wrote in a wrong date or identified an animal as a different subspecies, both mistakes that could have been easily corrected. Whatever the reason, the hunter is rarely at fault. Most hunters rely on import brokers to fill out the necessary forms for importation. In some instances, government officials in the country where the game was taken fill out the paperwork. Most of the seizures include animals covered under the Convention for International Trade in Endangered Species (CITES), and leopards are the most commonly seized. But, as Blasquez learned, it can involve all kinds of legally taken foreign wildlife. CITES has long agreed that regulated sport hunting benefits certain "endangered" or "threatened" species. For example, the Convention supports hunting for Pakistan's Sulaiman markhor, but the USFWS will not issue import permits. Blasquez resubmitted the paperwork and eventually received nine of the 10 animals he took in Zambia in 2007, but after four years and $10,000 in legal fees, he gave up on retrieving his leopard. He has no idea what happened to it, but Jackson thinks many forfeited animal parts are simply destroyed. Some are held in warehouses, and hunters are charged storage fees while they attempt to correct the issues. Others are returned to their country of origin where they are reprocessed before being imported again. Jackson says most of the seized items are eventually allowed to enter the country, but it can take years of bureaucratic wrangling and thousands of dollars in expenses. The rules are so confusing that even USFWS Deputy Director Rowan Gould couldn't help a friend who had a leopard seized. Another high-ranking official assured the Dallas Safari Club he would clarify the rules and procedures at the Club's January convention, but he never showed. Despite the obvious hardship the rules are having on traveling hunters, Jackson says there doesn't seem to be any effort to fix the problem, despite pleas from international hunting and conservation organizations like Conservation Force. "The Fish and Wildlife Service is supposed to provide help for hunters," Blasquez said. "Instead, it's like they want to make it difficult for hunters. It was like talking to a wall when I was trying to get my leopard returned. No one wanted to offer any help whatsoever." The process not only left him frustrated and angry at the Fish and Wildlife Service, but it also changed the way he ships his trophies. He's hunted in Africa other times since that 2007 hunt, but instead of using U.S.-based brokerage firms, he now uses a firm that ships trophies directly through Mexico. He's also leery of using U.S. taxidermists, which, he says, are the best in the world. American-based hunters don't have the luxury of shipping trophies through a different country. They instead have to pray the official who inspects their animals isn't in a bad mood and that and the accompanying paperwork meets the arbitrary rules that seem to change on a daily basis. They do, however, have a network of sympathetic lawyers like Jackson, a big-game hunter himself, to offer legal help. Jackson, who often works pro bono, took one case all the way to the Supreme Court and won, using the Civil Assets Forfeiture Reform Act as his legal basis. He was defending two hunters who had leopards seized. One was taken because the airline lost the documents; the other confiscated due to a clerical error by the issuing agent in the country where the cat was taken. Another case was settled in a U.S. Circuit Court of Appeals and involved scrimshawed elephant tusks. The Service agreed to release the tusks to the hunter, but only after he sanded the art off the tusks. But after all his court victories, Jackson still doesn't see any effort to simplify the process. "It seems like the rules are different at every port of entry. You just never know what technicality they'll try to get you on," he said. 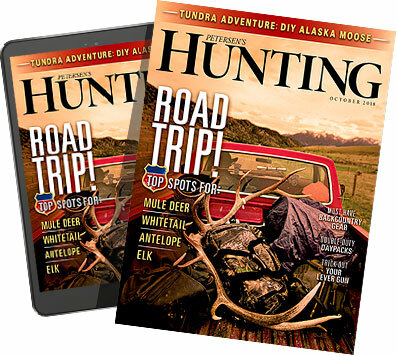 Blasquez isn't entirely certain why the process is so complicated, but he and Jackson wonder if there isn't an underlying anti-hunting agenda somewhere within the Fish and Wildlife Service. Whatever the reason, Jackson says the increasing number of big-game trophy seizures is not helping establish positive relations with American hunters. "It's also hurting conservation efforts for endangered species in foreign countries," Jackson said. "The harder the Fish and Wildlife Service makes it on hunters, the less money will be spent where it is needed most."